How to fix NSLOOKUP Default Server: UnKnown? Issue : “Default Server: UnKnown” error on NSLOOKUP from Windows Server 2008 DNS Server. Note : To show the server name a Reverse DNS Zone should be configured. If you do not have a reverse DNS configured please look in to my below post which is related to reverse DNS configuration. This issue is not a critical one. Even under this error your DNS resolution can work smoothly. But it’s embarrassing when there are issues like this. Right?. Yes I know! me too. The reason for this is your DNS server does not posses a record for the server itself. Or simply it does not know what is it’s own name. 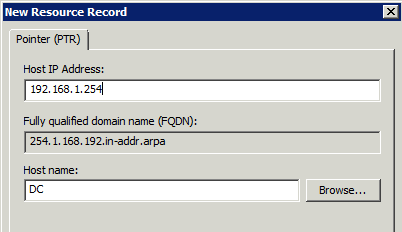 By creating a PTR static entry we can fix this and let DNS server know it’s own name. 2. Go to the your Reverse Lookup Zone icon and right click on it and select “New Pointer(PTR)“. 3. 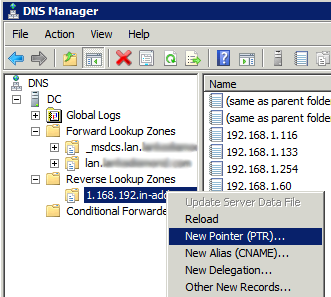 In the New PTR window enter the IP address of DNS server and enter(or select) the host name of the server. 4. Now click OK and restart the DNS server service. How to use UNC paths inside Windows Command prompt? How to clear DNS cache in windows? How to fix NSLOOKUP *** UnKnown can’t find : Non-existent domain? How to resize product photos in batch (Center, White background with Aspect ratio)? How to find last boot time and other shutdown logs in windows?